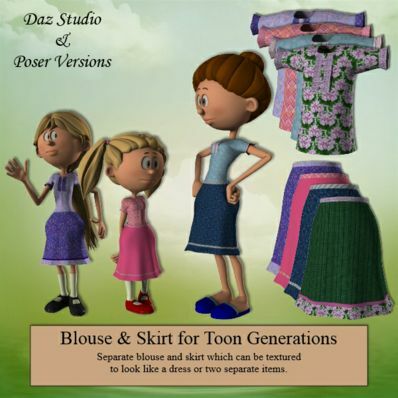 A Blouse & Skirt for Toon Generations for use in Daz Studio 4.6 and Poser. Can be textured so it looks like a dress or two separate items. Almost forgot to leave my thanks for the blouse and skirt. I do appreciate all of your creations.